Farrakhan said " I’m better than those who have revised your Bible. 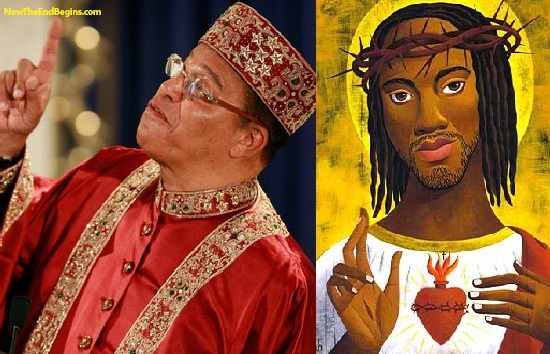 I’m better than those who have translated it out of the original tongues"
Editor’s Note: “And the disciples were called Christians first in Antioch.” Acts 11:26 – When Farrakhan says that “Jesus was not a Christian”, he is correct but for the wrong reason. The term “christian” means someone who is a follower of Jesus Christ. Hence, Jesus Himself cannot rightly be called a “follower” of Himself. The CEO, while he works for the company, is not an employee in an meaningful sense of the word.